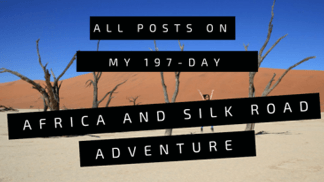 Based on many years of travel experience, here is the packing list for 6-months of backpacking in Southern Africa and the Silk Road countries. I have always been a light packer (among my friends I’m famous for bringing too few clothes on trips). However, this time I will have quite a few kilo’s in my backpack as I’m bringing my own camping gear and much more electronics/camera equipment. For those who are interested, in some cases I also specified the exact brand/product. 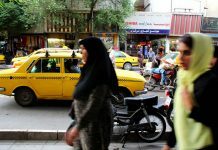 This article was updated in December 2018. Vind de Nederlandstalige versie van dit artikel hier. 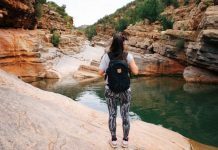 Read more about How to Choose Your Backpack here. During the day I usually wear a small crossover bag together with a daypack (or totebag). This trip I will probably also start wearing a money belt. 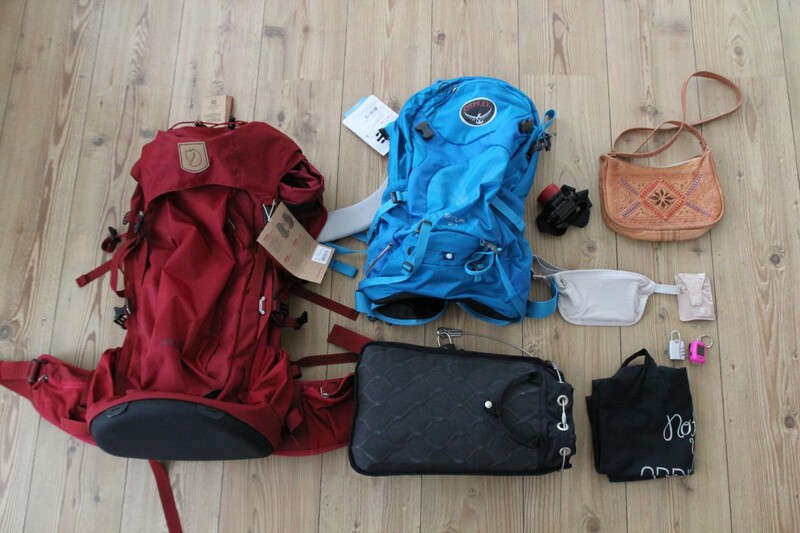 The Pacsafe 5L safe is truly handy for your valuables when staying in hostels. I’m a big fan of mini flash lights. I attach them to my bag or pants, so that I always have one with me. In terms of clothing I try to pack clothes that easily combine and don’t take much space. A colorful scarf is handy to have with you for chill air-conditioning buses, to cover your arms for the sun or simply to brighten up your outfit. 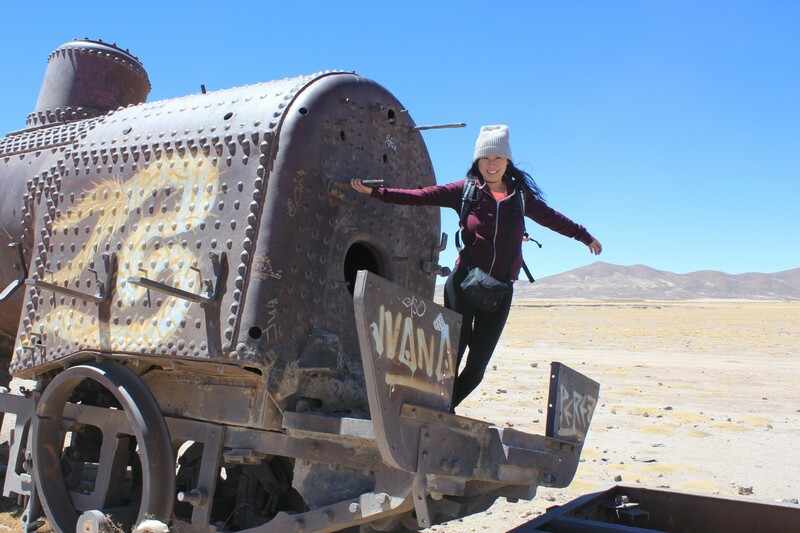 Especially, when traveling solo I tend to dress on the modest side. 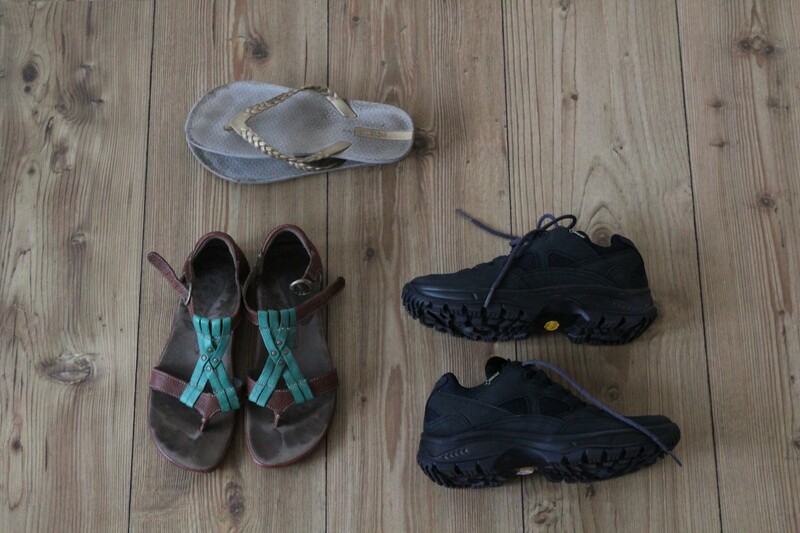 For all backpacking trips, three pairs usually do the trick. 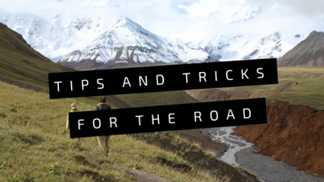 You only need hiking shoes/sport shoes, flipflops and sandals. I try to bring as little toiletries as possible, but somehow I still ended up with this very long list. As I always get bitten by mosquito’s, I’m bringing extra anti-mosquito products. 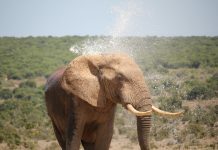 This is the first time I’ll be bringing water disinfectant, but it might prove useful during the water shortage in Southern Africa at the moment. I can’t travel without my DSLR and (with exception of sleeping) it’s always around my neck. I also bought a GoPro, which I haven’t used much so far. Hope to use it a bit more on this trip, but it’s so much hassle having two different camera’s. I won’t be taking my laptop or tablet. Normally, I also bring a polaroid camera, but unfortunately there is not enough space for another camera. 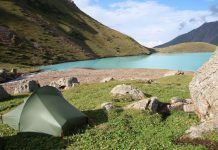 A few other bloggers already gave good beginner camping tips for independent adventurers! 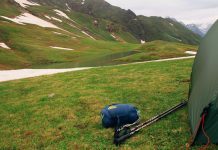 These days, I also always bring some hiking/trekking equipment on my backpacking trips! 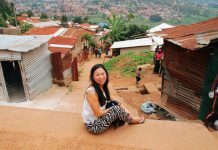 I also wrote an article about How to Keep Your Money Safe While Traveling. Small presents from your home country to giveaway! My friends are visiting me in Istanbul! As it is the perfect opportunity to swab some clothes and books, I asked my friends to bring this package. 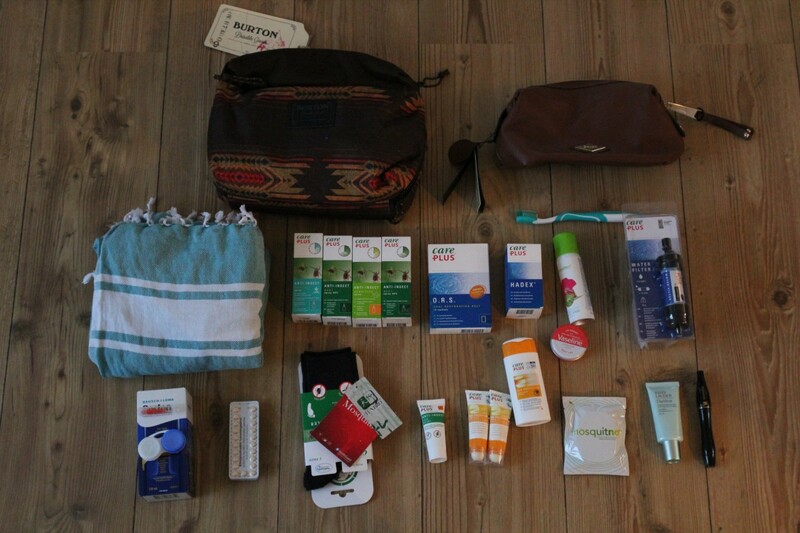 Care Plus and Travelbags.nl were so kind to sponsor some of the above-mentioned products! Views and opinions are, as always, my own. 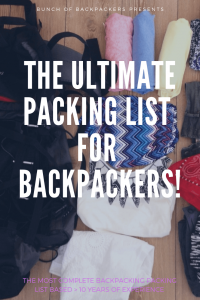 I updated this list in 2018 on basis of my latest packing list. 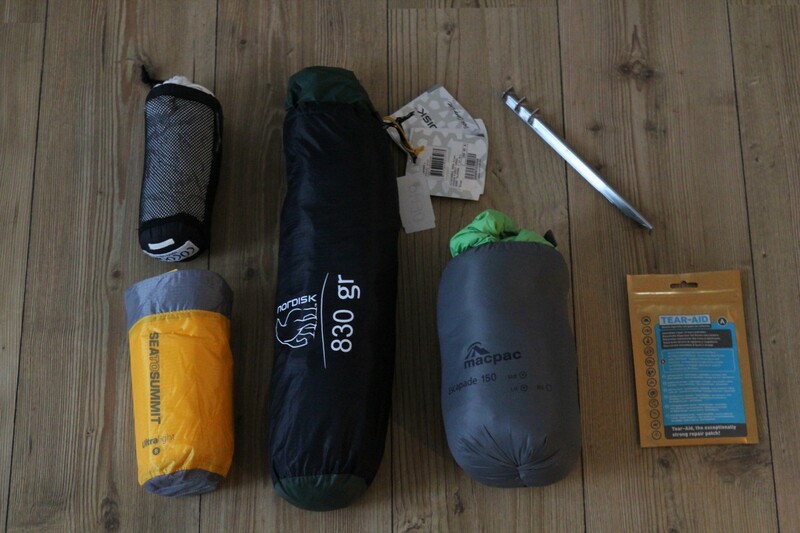 Is anything missing in this ultimate packing list for 6 months of backpacking? Let me know! 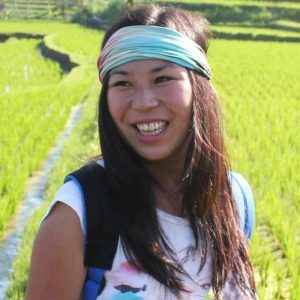 Previous articleSafety tips for the adventurous solo backpacker! 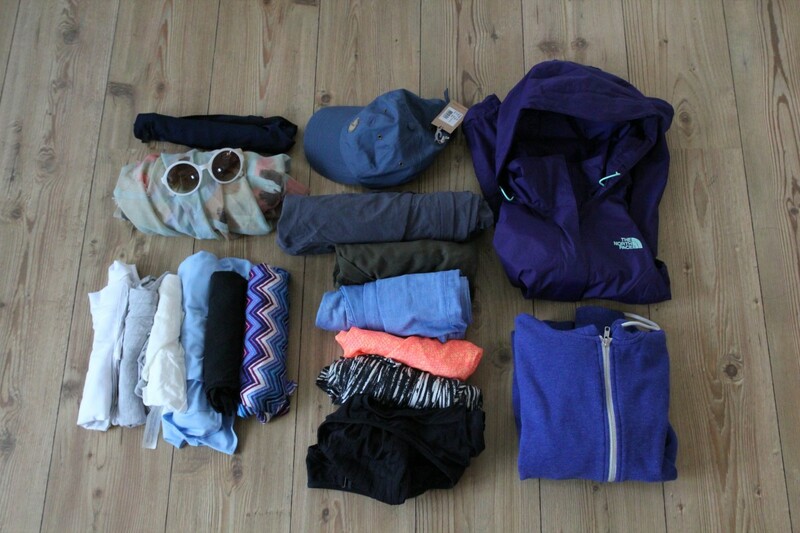 I think it’s quite similar to what I pack, but I take more socks as we usually travel to colder destinations and a foldable down-jacket for cool evenings. Have a great trip! Like this overview! Great that your friends are meeting you in Istanbul, so they can bring some stuff with them for you. Have a great trip! Nice post again and I really love the pics! 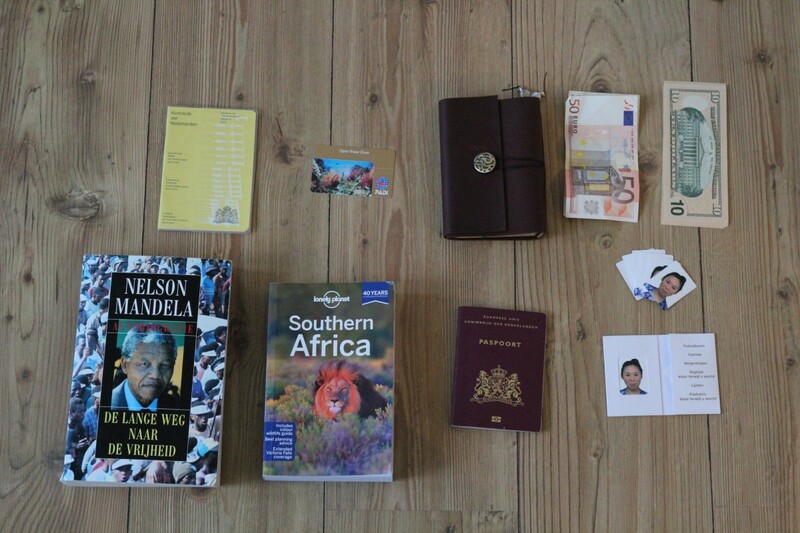 Thanks for sharing – I’m looking forward to reading about your adventures! First of all, I like your self proclamation of ‘travel mastermind’ — it’s catchy. The top picture on this page looks like you were on the set of Mad Max. Otherwise, your list couldn’t be more detailed. Love it, Manouk. Keep up the good work. great list! 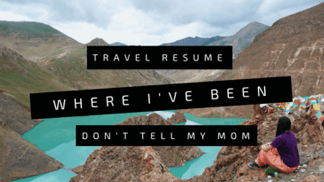 How do you blog when you are on the road without a laptop?